The Sims 4: Don't Buy the Lin-Z Smart Speaker - it will break your game! The Sims 4: Don’t Buy the Lin-Z Smart Speaker – it will break your game! What’s the cause of this issue? As strange as it might be, the new Lin-Z Smart Speaker and the relationship you form with it is the root of the issue above. As reported by Crinrict, the issue starts showing up when your Sim visits a lot that had Lin-Z on and after you decide to move the Lin-Z Speaker to your Sim’s inventory or delete it altogether. 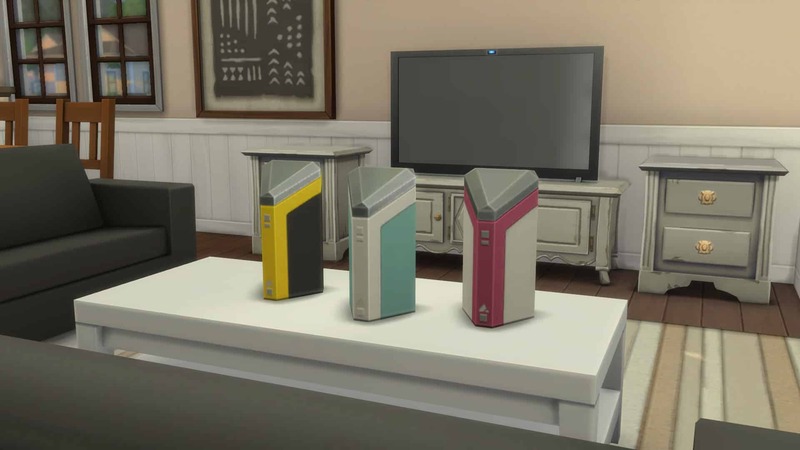 Unlike with the Talking Toilet Object from The Sims 4 City Living Expansion Pack with which you can form a relationship and get rid of it by deleting the object, you cannot get rid of the relationship with Lin-Z Smart Speaker even after deleting it which will cause big issues. If you’ve already encountered the issue above then there isn’t a perfect solution. You’ll have to go back to the Main Menu and revert your Save Game to the point where you didn’t purchase the Lin-Z Smart Speaker. If you didn’t encounter the issue it’s highly recommended that you don’t purchase the Smart Speaker until The Sims Team releases a fix. I’m having a similar problem: I can’t load the lot I was playing with literally yesterday, even though I haven’t bought the Speaker at all; at it won’t kick me back to World either; it just stops working on load screen and I have to forcibly shut down the game. I’ve tried loading a different family in the same save and it worked fine, until I tried to save, at which point the game simply crashed has anyone encountered a similar problem? Yeah, I do have mods; I have updated them, though, and I only have this issue with this specific household I even tried saving the family on the library and moving them to a new save, and they were fine there! Damn, I made a new household just to play around with the new update and honestly got very invested, the problem is that one of the first things that I put in there house was a Lin-Z speaker. And I made the house before I made them. I can’t wait for the new bug fixing update. I was having this issue, but fixed it by deleting the cache folder and another cache package file — I think it was loadingcache.package — can’t remember exactly. but it works fine now! Wow it’s sad but true that every patch just breaks the game in some way. Kinda glad I haven’t had time to look at the new items yet. And there goes the Sims household I had fun with got once. Everytime I have fun with a house something goes wrong. I’m a household jumper. The QA team (of, what? 30 people?) can’t be expected to come up with the same combination of interactions *millions* of players choose. I mean, who would think of deleting the Lin-Z speaker, but only after forming a relationship with it? Almost every player at some point in their gameplay. Players usually want to renovate, change the interior and that means it’s very possible they’ll want to delete the Lin-Z speaker after they have used it and interacted with it. Surely, the devs should’ve playtested a little longer before including it in the holiday patch. In a ideal world the patches wouldn’t break or cause issues. However, if an issue doesn’t arise in their testing it doesn’t make sense to expect them to somehow predict an issue. Even when it comes to bugs. If they’re unable to reproduce it when it’s reported that makes it much harder or nearly impossible for them to provide a fix. Some bugs don’t even affect other simmers because they’re uncommon or mod related. Since it’s not the first time this has occurred, game breaking type bugs, simmers should be proactive in saving backups (backups also in case your computer dies or needs major repair). I hope they fix this soon. I haven’t been able to play with it yet. they did a patch yesterday to fix it I think. I am going to update mine now! Patch your game; Sims has been updated to deal with this problem. This post saved my life! I have been so excited to go and play with the smart speaker and I was going to purchase it but I have not been able to get on sims 4 ( a whole nother me problem ) so I am so happy that I saw this because my computer is not the best. So I have no idea how my computer would take it, so thank you! I haven’t had that issue when I deleted my speaker. Wonder why? And, after they’ve patched it, you shouldn’t buy the Lin-Z because it adds nothing to your game regardless. There has been a new patch today in which this bug has been fixed. Affected games should also be fixed. Hey, I just added the Lin-Z speaker to my game the night before ladt and yesterday morning my game wouldnt even open. I cant get past the white screen that has the title with the plumbob. I did the repair and restart but that didnt fix it. Could it be the speaker?